Want to learn more about using JSON in SQL Server? Watch me present at the online GroupBy conference on June 9, 2017 at 8am. 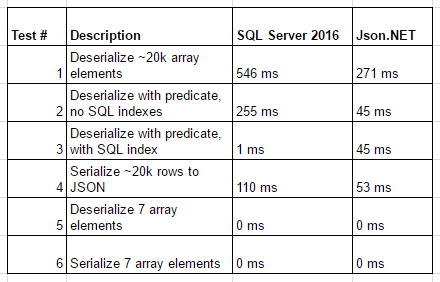 I’ve written a few articles this year about how awesome JSON performance is in SQL Server 2016. The more I continue to use JSON in SQL Server, the more impressed I become with its speed and versatility. Over time I’ve learned new techniques and realize that JSON in SQL Server is actually much faster than I initially thought. Today I want to correct some performance tests where I think I unfairly compared SQL Server JSON performance the first time around. Major thanks to @JovanPop_MSFT for his help with performance testing suggestions. Before I dive into the performance tests, I want to be clear that these tests are still not perfect. 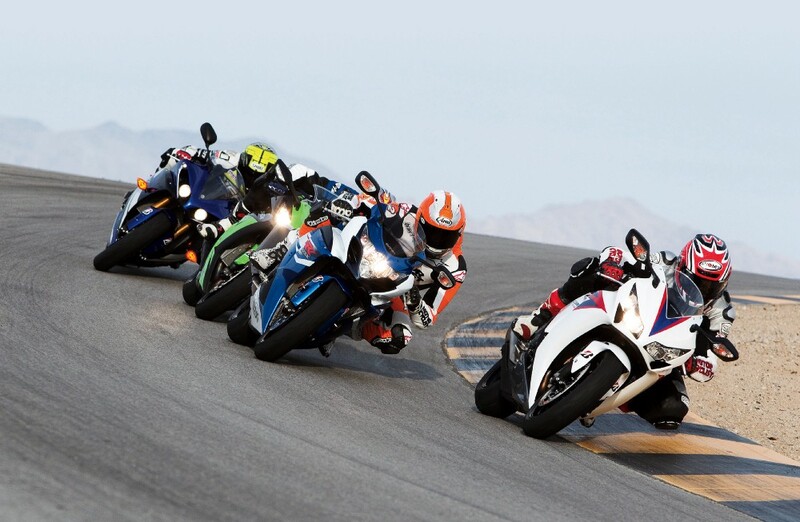 Performance testing in SQL Server is hard enough. When you start trying to compare SQL Server functions to code in .NET, lots of of other factors come in to play. I’ll try to to highlight where there still might be some problems with my methodology in the tests below, but overall I think these tests are more accurate comparisons of these features. Queries running in SQL Server Management Studio have significant overhead when rendering results to the results grid. The way SQL Server retrieves pages of data from disk or memory is not the same as how C# retrieves data from disk or memory. The below tests should provide a more accurate comparison between SQL Server and .NET. For this first test, we will deserialize ~20k rows of car year-make-model data comparing the SQL Server OPENJSON function against Json.NET’s DeserializeObject. Looking at the execution plans, the OPENJSON function is still processing all ~20k rows in both queries, only the number of rows being brought back to the SSMS GUI differ. And the result of this test? SQL Server was nearly as fast as Json.NET! In this next test we filter and return only a subset of rows. Result: SQL Server is nearly as fast once again! One more important thing to note about this specific test — if you add this data into a SQL table and add a computed column index, SQL Server will beat out Json.NET every time. This scenario is particularly difficult to test. If I want to serialize data in a SQL table to a JSON string, how do I write the equivalent of that in C#? Do I use a DataTable and hope that SQL’s data is all in cache? Is the retrieval speed between the SQL Server buffer equivalent to C#’s DataTable? Would a collection of List’s in C# be more appropriate than a DataTable? This test still isn’t perfect though because SSMS is outputting the JSON string to the screen while C# never has to. I didn’t want to play around with outputting the C# version to a form or the console window because it still wouldn’t have been an equal comparison. Result: Json.Net is about twice as fast although this test is by far the most inaccurate. Still, SQL is still much faster than I initially thought. In my previous article comparing SQL Server JSON to SQL Server XML, I focused on tests that were all done within SQL Server. These two tests examine cases where XML may have been slightly faster than JSON on SQL Server, but if you consider the entire environment (app + database), using JSON wins. Although inserting XML data that is already in memory into a SQL Server table is faster than the equivalent operation in JSON, what happens if we need to serialize the data in our app first before sending the data to SQL Server? Using the most common libraries available to serializing data to XML and JSON, serializing data to JSON is twice as fast as serializing to XML (and as mentioned before, a lot of the time apps already have JSON data available — no need to serialize). This means the app serialization code will run faster and allow for the data to make it to SQL Server faster. Finally, after we have our serialized XML and JSON data in C#, how long does it take to transfer that data to SQL Server? // Write XML string to nvarchar SQL column. Taking the difference between this and result3, 100ms+ of time is spent converting to XML format on insert. Result: Writing JSON data to a nvarchar SQL Server column is much faster than writing XML data to an XML typed (or even an nvarchar typed) column. Not only does SQL server need to parse the XML data upon insert, the physical size of the XML data being sent over TCP is larger due to the repetitive nature of XML syntax. JSON performance in SQL Server is still awesome. In fact, it’s even better than I had previously thought. These tests are not meant to be conclusive; think of them more as errata for my previous JSON performance posts. However, I think that these comparisons show that SQL Server’s JSON functions are competitive with other languages’ performance of handling JSON data. Additionally, if serializing/deserializing reduces the amount of data transferred over TCP, using the JSON functions in SQL Server will most likely give you better total app/environment performance. This is the fourth article in my series about learning how to use SQL Server 2016’s new JSON functions. If you haven’t already, you can read Part 1 — Parsing JSON, Part 2 — Creating JSON, and Part 3 — Updating, Adding, and Deleting JSON. Additional performance comparisons available in an updated post. We’ve finally come to my favorite part of analyzing any new software feature: performance testing. SQL Server 2016’s new JSON functions are great for parsing JSON data, creating JSON data, and modifying JSON data, but are they efficient? 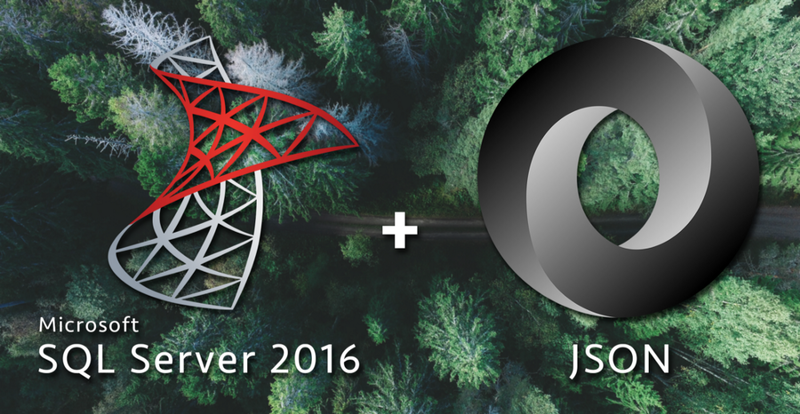 Unlike XML in SQL Server (which is stored in it’s own datatype), JSON in SQL Server 2016 is stored as an NVARCHAR. This means instead of needing to use special indexes, we can use indexes that we are already familiar with. Non-persisted computed columns (like in the example above) do not take up any additional space in the table. You can verify this for yourself by running sp_spaceused 'dbo.Cars' before and after adding the non-persisted column to the table. Having a computed column doesn’t add any performance to our query on its own but it does now allow us to add an index to our parsed/computed JSON property. Overall, adding computed columns to our table adds no overhead in terms of storage space and allows us to then add indexes on JSON properties which improve performance significantly. As I’ve mentioned before, the best option for processing JSON data in SQL Server before 2016 was by using Phil Factor’s amazing JSON parsing function. Although the function works well, it is limited by what SQL Server functionality was available at the time and therefore wasn’t all that efficient. The above query should work for getting the data we need. I’m abusing what the parseJSON function was probably built to do (I don’t think it was intended to parse ~20k element JSON arrays), and I’ll be honest I waited 10 minutes before killing the query. Basically, trying to parse this much data in SQL before 2016 just wasn’t possible (unless you wrote CLR). In cases like the above where parsing JSON in SQL Server was never an option, my preferred method has always been to parse data in C#. In particular, Newtonsoft’s Json.NET is the standard for high performance JSON parsing, so let’s take a look at how SQL Server 2016 compares to that. Essentially, it seems like Json.Net beats SQL Server 2016 on larger JSON manipulations, both are equal with small JSON objects, and SQL Server 2016 has the advantage at filtering JSON data when indexes are used. SQL Server 2016 is excellent at working with JSON. Even though Json.NET beats SQL Server 2016 at working with large JSON objects (on the magnitude of milliseconds), SQL Server is equally fast on smaller objects and is advantageous when JSON data needs to be filtered or searched. I look forward to using the SQL Server 2016 JSON functions more in the future, especially in instances where network I/O benefits me to process JSON on the SQL Server or when working with applications that cannot process JSON data, like SQL Server Reporting Services. Recently I have been working on a project where I needed to parse XML files that were between 5mb and 20mb in size. Performance was critical for the project, so I wanted to make sure that I would parse these files as quickly as possible. The two C# classes that I know of for parsing XML are XmlReader and XmlDocument. Based on my understanding of the two classes, XmlReader should perform faster in my scenario because it reads through an XML document only once, never storing more than the current node in memory. On the contrary, XmlDocument stores the whole XML file in memory which has some performance overhead. Not knowing for certain which method I should use, I decided to write a quick performance test to measure the actual results of these two classes. In my project, I knew what data I needed to extract from the XML up front so I decided to configure test in a way that mimics that requirement. If my project required me to run recursive logic in the XML document, needing a piece of information further down in the XML in order to know what pieces of information to pull earlier on from the XML, I would have set up an entirely different test. For my test, I decided to use the Photography Stack Exchange user data dump as our sample file since it mimics the structure and file size of one my actual project’s data. The Stack Exchange data dumps are great sample data sets because they involve real-world data and are released under a Creative Commons license. The C# code for my test can be found in its entirety on GitHub. In my test I created two methods to extract the same exact data from the XML; one of the methods used XmlReader and the other XmlDocument. // Run the method 50 times to rule out any bias. Now, is this ~.14 seconds of speed difference significant? In my case, it is, because I will be parsing many more elements and many more files dozens of times a day. After doing the math, I estimate I will save 45–60 seconds of parsing time for each set of XML files, which is huge in an almost-real-time system. Would I have come to the same conclusion if blazing fast speed was not one of my requirements? No, I would probably go the XmlDocument route because the code is much cleaner and therefore easier to maintain. And if my XML files were 50mb, 500mb, or 5gb in size? I would probably still use XmlReader at that point because trying to store 5gb of data in memory will not be pretty. What about a scenario where I need to go backwards in my XML document — this might be a case where I would use XmlDocument because it is more convenient to go backwards and forwards with that class. However, a hybrid approach might be my best option if the data allows it: if I can use XmlReader to get through the bulk of my content quickly and then load just certain child trees of elements into XmlDocument for easier backwards/forwards traversal, then that would seem like an ideal scenario. In short, XmlReader was faster than XmlDocumet for me in my scenario. The only way I could come to this conclusion though was by running some real world tests and measuring the performance data. So should you use XmlReader or XmlDocument in your next project? The answer is it depends.